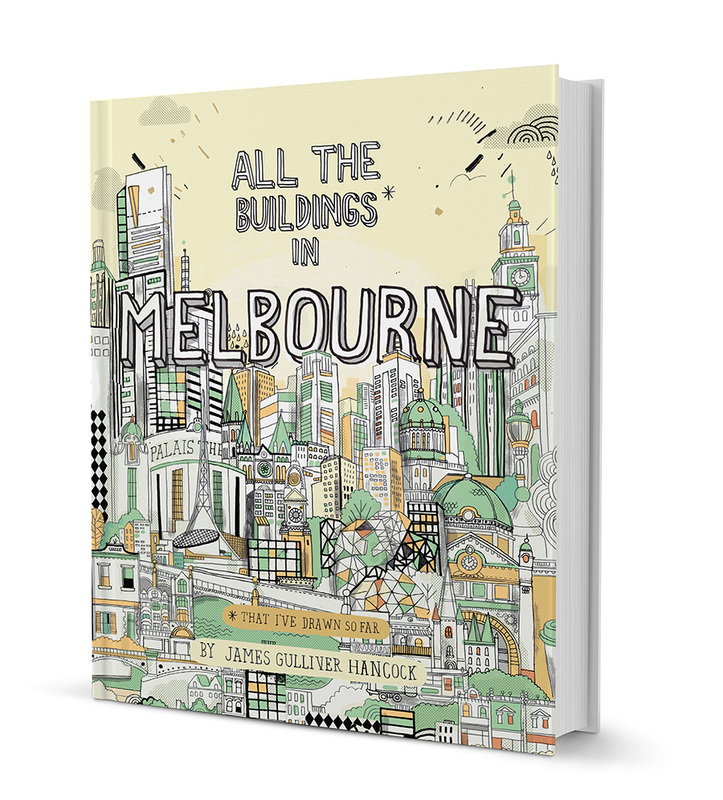 Almost as if it was meant to be, we chat with James Gulliver Hancock as he prepares for our Melbourne market, where you’ll be able to pick up a personalised copy of his brand new book! Tell us about your brand new book? 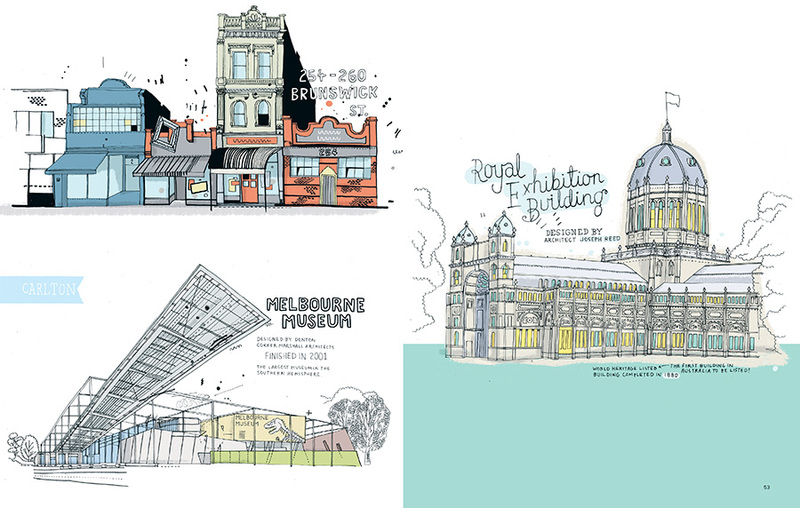 My latest book is a whimsical architectural tour of Melbourne. 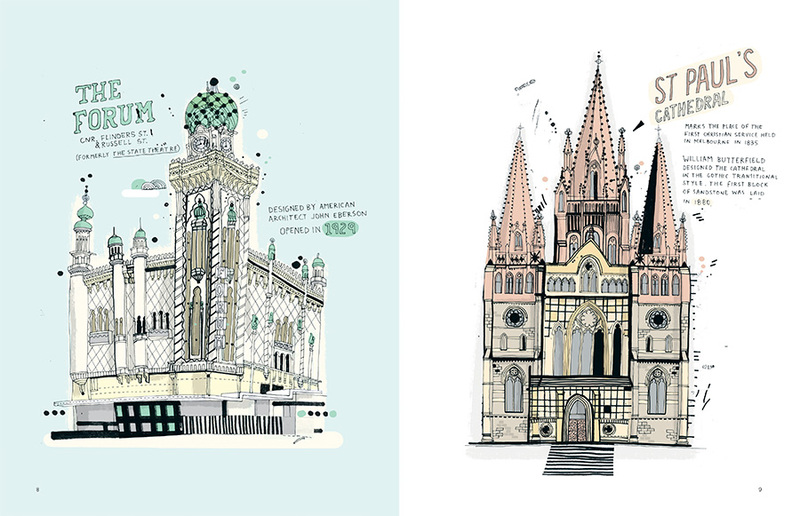 It is part of a series of books I’ve done where I obsessively document buildings in cities around the world. So far I’ve done New York, London, Sydney and Melbourne. I like to delve into cities and really take time drawing and observing not only the famous buildings but the normal everyday ones too. I like to build up almost like a personal diary of the city, with drawings that are more an expression of my experience of the whole city rather than just a postcard of the place. I get very excited responses from people that have these books saying that everyone in the family enjoys having them around, from little kids exploring the city and noticing all the little details in the drawings, right up through to the older seasoned traveller who appreciates a fresh look at a place they thought they knew. 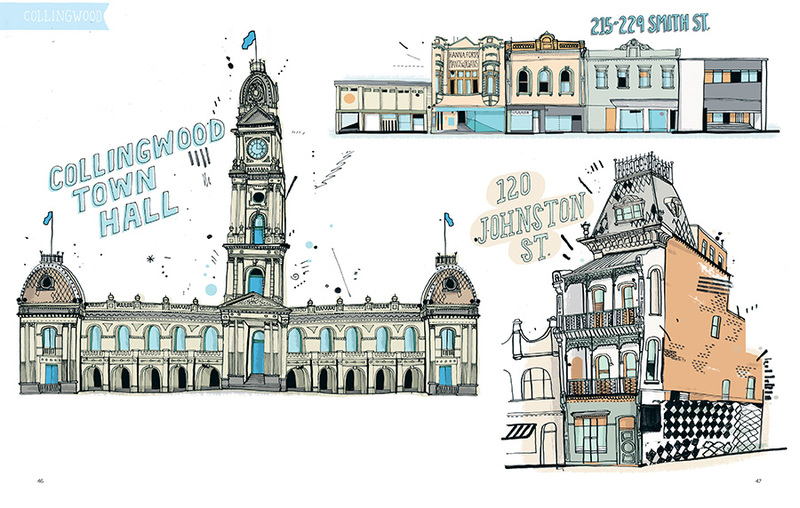 It’s really heart warming to hear how my drawings stimulate such strong memories of places and times. What is your illustration process, do you visit all the places featured in the book? I try to be in front of buildings as much as possible, drawing from life is so rewarding and allows for such great accidents to happen while you’re drawing. Sometimes I also work from photos I take or that friends take for me. When I’m deciding what to include in the book it is a personal process, it starts with the places I’ve visited, whether that be an iconic building or a friends house and grows from there. Going for aimless wanders always uncovers great things, and also asking locals what they like about their city is a great way to connect too. What is your illustration process, do you work exclusively in the digital format? I always work with hand generated media at the outset, usually using an old dipping pen and ink, but also playing with pencil and markers at the same time. I also do a bit of collage when I’m in the studio, just to mix up the images a bit and make them more organic and interesting. I try to do drawings that aren’t exactly perfect representations of the building, but more like quirky emotional views of them, whereby I give the building a character almost and make it jump out from it’s everyday context. 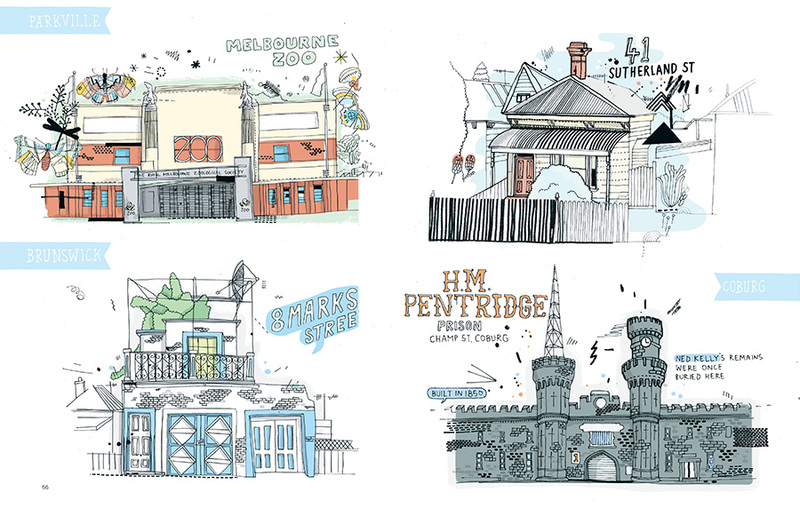 What is your favourite place in Melbourne featured in the book? What do you like to do there? I love walking in Melbourne, coming from bigger cities, I love that I can really cover a lot of the city on foot. I did a great walk from Collingwood to Southbank before starting this book and just couldn’t stop drawing. The architecture really is special, I love all the detail in the older buildings, but I also love the bold new stuff too, even little old grandma cottages have me stopping and staring. As for my favourite place, it’s not really a specific spot but more a love of the way the city is organised, the long strips of shopfronts and the back alley coffee shops and hidden gems. It really is a city ripe for exploration like any of the great cities like Paris or New York. Where do we go to get a copy!? You can get a copy at all good bookstores or online, but a great way would be to visit me at the next SS16 Melbourne Markets Finders Keepers where I’ll have heaps of copies on hand to sign and personalise. If you bring a photo of your house I might even have time to add a little drawing of your house to the front!